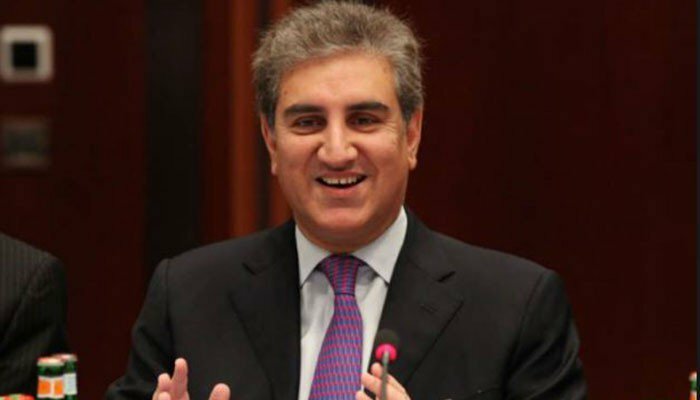 While talking to media, Shah Mahmood Qureshi said that U.S. Secretary of State Mike Pompeo is coming to Pakistan on Sept. 5, We will discuss all the problems on this matter with him and we will present our position in this issue. He said, the U.S. suspension of Coalition Support fund has largely damaged the mutual relations of both the Pakistan and United States. On their arrival, we will listen their views and will present our point of view on this matter. Pakistan's Foreign Minister said 'It is not an Aid or any relief that has been suspended, but it is the money that U.S. needs to pay to Pakistan for using its services during War against Terror. It is our common efforts to clean the region and the world from terrorism for which Pakistan has done countless efforts including sacrifices of Pakistan Army and its citizens. Therefore such measures are still being taken. Till 2016, more than 70,000 innocent people in Pakistan have been killed due to terrorism. More than 16,000 Army troops including 6000+ young Army officers sacrificed their life to end the war of terrorism. Today, 89 Percent terror activities/Terrorism have been reduced just because of Pakistan's Military Operations in all over the country. Keep in mind that during war on terror, United States had signed many agreements with Pakistan. One of them was U.S. Administration would pay money to Pakistan for using its Air space, runways and Military Cooperation against terrorist groups. After some time, the U.S. Authorities calling 'Coalition Fund' as 'Military Aid' being given to Pakistan that is quite ridiculous. Is Pakistan a 'Terror' financing Country ?